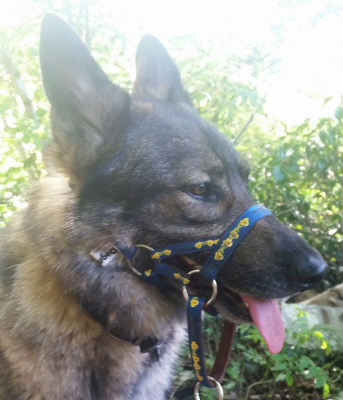 It's a perfect fit, and it's a real help when walking my german shepherd. I have had several people ask what it is and where I got it from . I had no problem telling them, and recommending it. Look forward to ordering another one when my 24 week german shepherd is as big as his brother and has stopped growing.